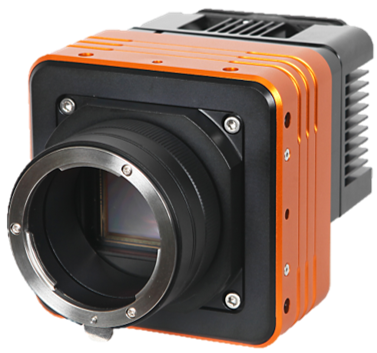 Winner of the prestigious Vision Systems and Design Magazine’s Innovators Award, the IC-M50T-CXP and IC-C50T-CXP showcase ISVI’s expertise in leading-edge camera design. The IC-M50T-CXP provides the unique combination of a low-noise 48-Megapixels @ 30fps with global shutter, the CoaXPress CXP6 interface enabling more time for image processing, and a custom-designed Thermoelectric Cooling (TEC) system to maximize the available dynamic range output of the camera. his active cooling system utilizes a proprietary temperature feedback loop to maintain a constant sensor operating temperature in ambient working environments between 0-40 degrees Celsius.